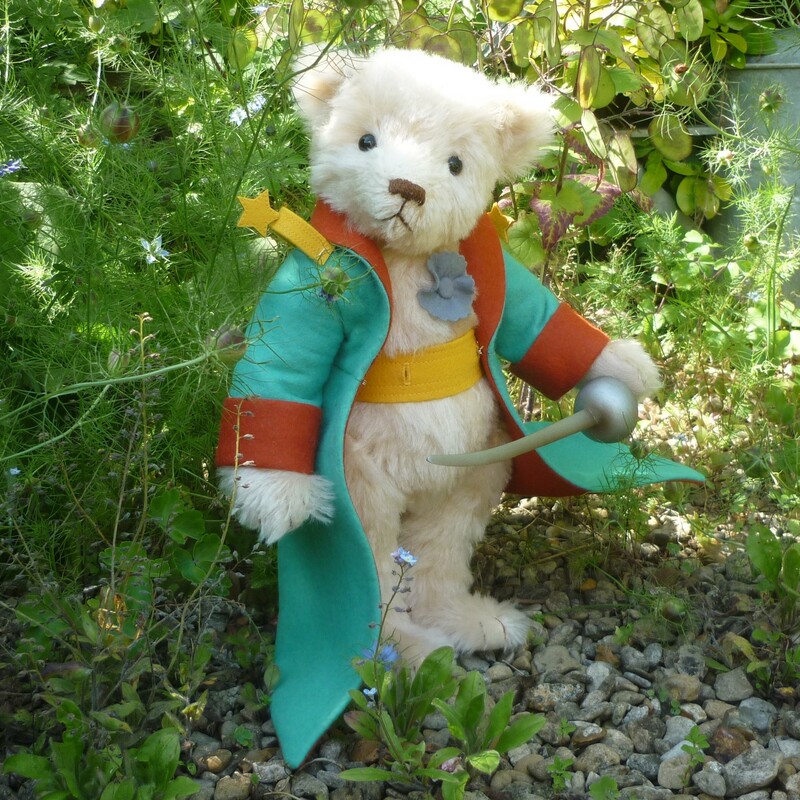 Made of blond mohair, The Little Prince Bear has black glass eyes, a brown stitched nose and beige felt paw pads. 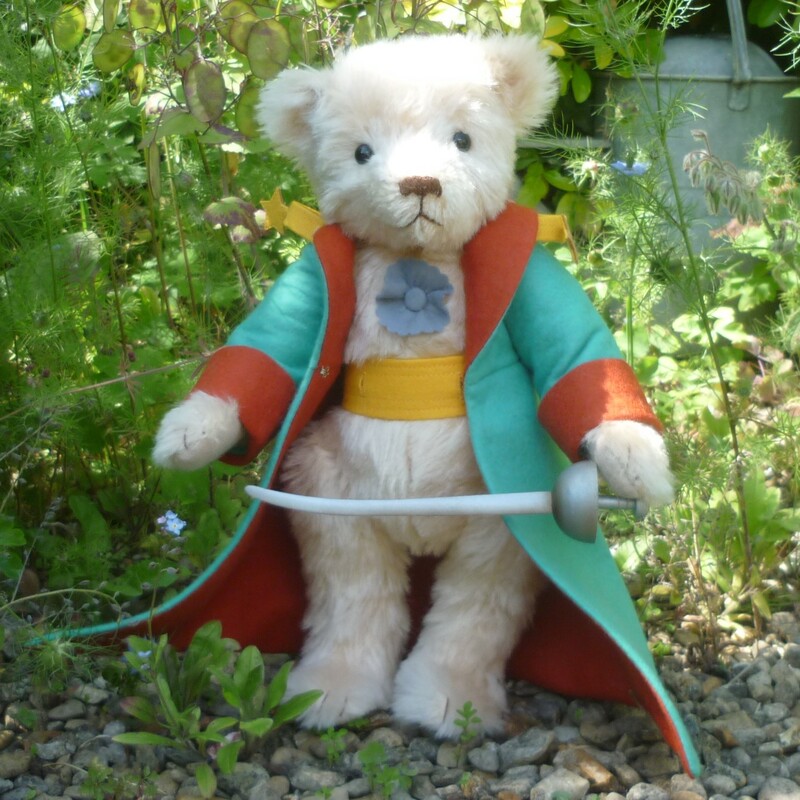 He wears his traditional tailored, flowing greatcoat made of custom-dyed, wool felt with star epaulettes and a grey felt medallion is stitched to his chest. 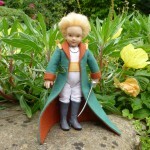 He holds his very own hand-crafted wooden sword.